Established in the late 1800s, Peugeot has gained a solid reputation for its dependable cars, such as the popular 108 and 208 and the make’s range of rugged SUVs. 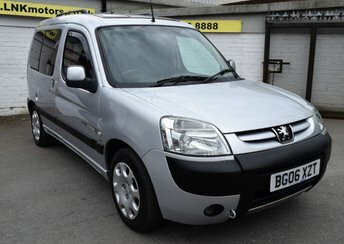 We have stunning used Peugeot cars on offer at L N K Motors LTD, all of which will be meticulously tested for safety and quality before collection. If you require any advice, our experts are dedicated to finding you the perfect car for the right price. We have formed relationships with leading finance lenders and houses, so we know how to get you the best deal. Give us a call for more information.